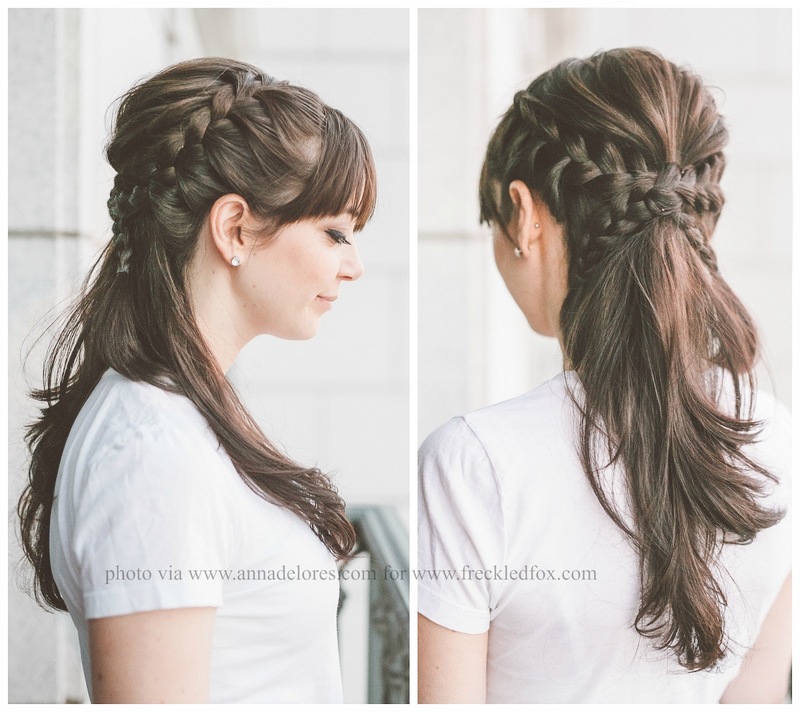 Happy weekend friends:) I'm here with a special post for you guys today-a really simple and lovely hairstyle! Today's tutorial is extra special though because I'm featuring my beautiful and incredibly sweet blogger friend Megan from Freckled Italian! Steps 1-3: Begin by combing your hair back with your fingers, and creating an imaginary parting down the middle of your head. Take a two-inch section from the top of the left side, and smooth it out into three separate sections. 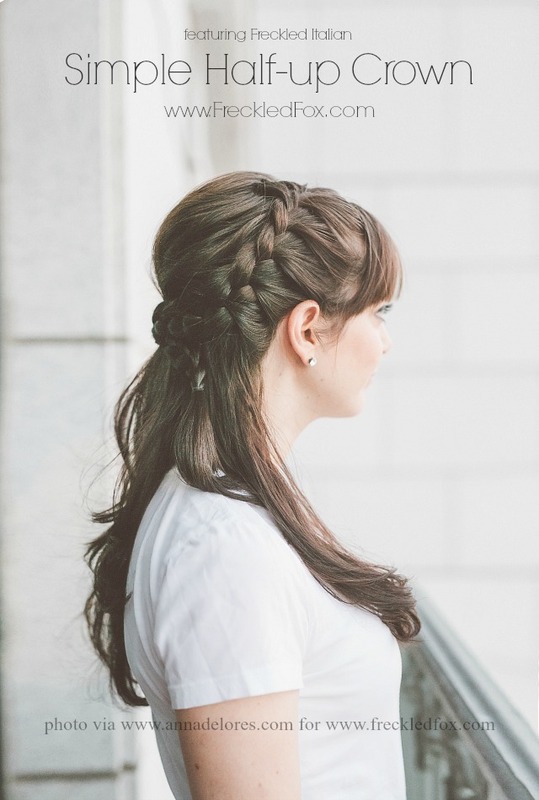 Begin your left lace-braid by only adding in hair from the left side into the braid, and not adding it to both sides as you would with a french braid. Steps 4-6: Keep braiding around to the back, making sure to keep your hair smooth as you add more hair from the left into each rotation of the braid (but not from the right! :)). Once you're past the ear, stop adding more hair in and simply complete the braid, tying off at the end. 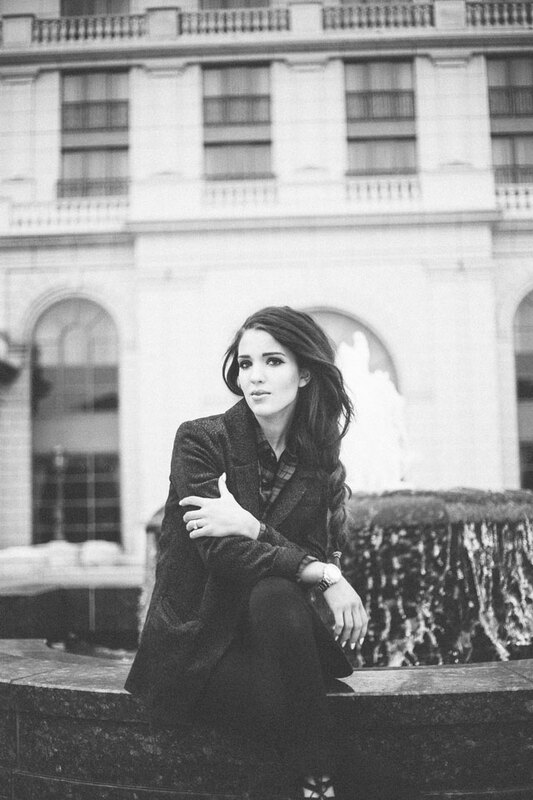 Tug the hair out gently from both sides to create a fuller look, and repeat on the other side! Steps 7-9: Now you're going to tease your crown for a little lift and volume by taking a two-inch section of hair from the top-middle of your head and tease the base of it gently with your comb. Repeat this with another section, and another if you wish, just be gently and never use force on your poor hair.haha Smooth it over and push the middle up a bit before pinning it in place, than criss-crossing the braids over the middle and pinning those in place as well! Well that's it for today, and I hope you love this style! 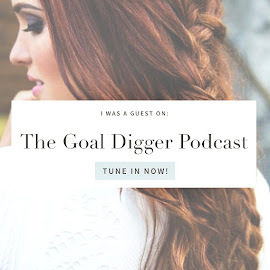 I'd love to hear your thoughts on this one in particular or any other comments or requests you may have, and also before you go don't forget to click the image to go check out Megan's blog and tell her hi from me! 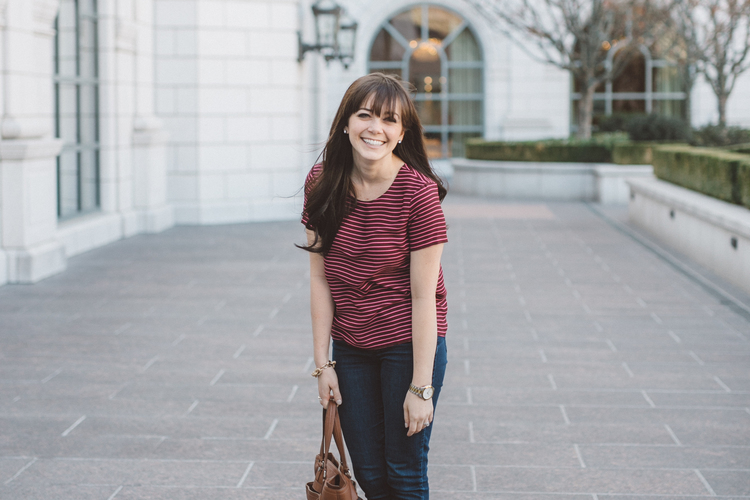 Megan Flynn Peterson is the blogger behind Freckled Italian, a lifestyle blog that focuses on food, friendship, love, and the ins and outs of daily life. She lives with her husband in Charlotte, North Carolina where she reads, drinks coffee, and struggles to keep the house clean. I hope you have a great rest of your week, and I'll see you back here soon! 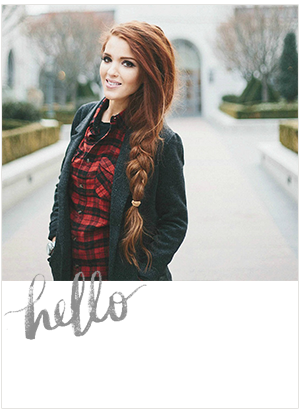 Beautiful hairstyle, love this look! This is so beautiful. U make it seem effortless, but Im not that handy. Will try though! If only I had enough hair! I had so much fun doing this with you! I forgot to tell you that someone stopped me in the elevator that night to take a picture of my head, haha! It looked so good. I wore this to work today, and I've already had a few compliments! Best part, it took all of 5 minutes, super easy after the gym! Such a beautiful hairstyle. I love that its half up with braids, so elegant.